As dashi serves as the foundation of taste in Japanese cuisine, there are varieties of dashi offered in today’s market. 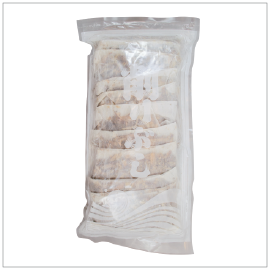 This dashi pack is made with a blend of quality sardine and mackerel flakes. No MSG. To use, simmer 1 dashi pack per 4 liters of water. Tip: Try blending dashi pack with kombu for a delicious broth packed with umami flavors! First, in a pot, soak kombu in cold water for 25 minutes to 1 hour. Heat water using low heat. Just before the water comes to a boil, remove kombu and discard (kombu may be used for other recipes). Add Kyoto Katsuobushi Mix Dashi Pack and simmer. Remove from heat source.